Deepanjan Nag's Magnum Opus: Sax Appeal! First impression wasn't all that appealing. The Saxophone sounded like a cow that had somehow learnt to sing. Here's the anecdote. Dad had a turntable connected to our valve-driven radio. He had built an extensive archive of vinyl records over the years. Having a rather offbeat taste, it must have been an excruciating job collecting those records. But he was ill-fated. The turntable was stolen one day and Dad was finding it increasingly difficult to replace it. Dejected, he decided to give-up his archive by distributing the records. Years later, he decided to buy an AIWA cassette player. Job done, he now set out to rebuild the archive. Mission impossible. Musical tastes had degenerated so much that market forces almost completely obliterated good records. In desperation, Dad turned to his old colleagues and managed to record some of the old 'records' he had given up. Of course, most of these people hardly had Dad's taste and that reflected very well in the upkeep of the donated records. The recordings had deteriorated and the cracks rendered most of them unplayable. It was one such recording of Boots Randolph that took me by surprise, imagining it to be a bovine aural experiment. I had never heard anything so jarring and dissonant. How could people enjoy such music? To make matters worse, the cracking sound really affected my nerves. How my disposition underwent a sea change has faded completely from my memory, but it happened fairly quickly. I soon realized that the Saxophone was a beautiful instrument not just aurally but even aesthetically. Posing with a saxophone would look good on me, I thought. Those were the days when I had the gift of an outrageous and gravity-defying imagination. 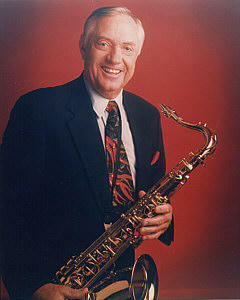 I soon fantasized becoming, among other things, a saxophonist just like Randolph! Over the years I grew increasingly fond of the Sax and it soon became my favorite instrument. The weekly dose of Jazz on our radio also did its bit in making me fall in love with it. I soon took the lead in hunting for good (but rare) Jazz recordings. Dexter Gordon, Stanley Turrentine and Sonny Rollins were some of my discoveries. So too was Kenny G, though I would put him in a league way below the others. Dad wasn't too fond of the Soprano Sax, though he did say that he had particularly enjoyed a Cuban fellow's playing the instrument years ago on Jazz Hour, VOA. Well, Kenny G wasn't all that bad, I thought; even though I found the Soprano the least flattering among all the Saxophones. Looking for Jazz recordings (with the sax as the preferred lead instrument, naturally!) wasn't an easy task. It was like probing for a needle in a haystack. Still, finding a coveted album was like winning a trophy! Dad would love my choice. Listening to some Bebop was very satisfying indeed, especially since we abhorred the crap Bollywood was churning out. Years went by. Technology changed. CD, MP3 and Streaming audio were terms being flaunted extensively in Cyberspace. Dad never managed to keep pace. I moved to Pune where I was to buy a Sony CD player which would eventually replaced our trusted AIWA. However, CDs were far more expensive than cassettes. Jazz CDs were a strict no-no, though Western Classical was available in a few budget labels. I switched to listening to Classical and Jazz was forgotten for some time. I bought only 1 CD of Louis Armstrong for Dad, and he never complained. I now realize how selfish I had become. No matter what I listened to, Dad would unfailingly come and sit by my side and listen to my collection, be it Jazz or Classical. He was awfully fond of me and loved the musical taste I had honed. Dad passed away last year. Without him my world is plunged in eternal darkness. Music doesn't sound half as enjoyable now. I rediscovered Boots Randolph a few days back via BearShare, a P2P file-sharing utility. I quickly downloaded some of his tunes. Playing them opened the floodgates for me and I couldn't contain my emotions. Dad would have simply loved to sit by my side and listen to Boots playing the Sax. Just like old times!